The educator Eric Jensen has spent the majority of his professional life researching how students learn. His list of published works are impressive, advocating for the need to get students up out of seats during class as a way to stimulate learning. 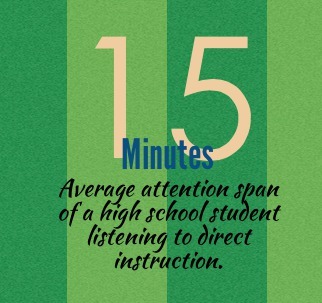 Jensen estimates that for students in high school, the maximum amount of time most of them have to process new information via direct instruction is about fifteen minutes. For students in primary grades, that number is reduced to twelve minutes. “Most learners will tell you they’d rather be active than passive,” Jensen writes. “Unfortunately, many students have been conditioned to be passive for so many years that by the time they’re in secondary school or college, active learning can feel strange” (37, 54). The onus then is on the teacher to make active learning a reality for students. There was a recent essay in ASCD’s August Education Update that got me thinking about Jensen and how we can create opportunities for teachers to get students moving in their classes. Called “Learning from the Feet Up,” it stressed the need to get students up out of their seats during a class period (subscription needed to view the article). I thought the article made many valid points about the importance of movement. “Because the brain responds to novelty and active learning,” writes the article’s author Kathy Checkley, “the brain can ‘stay connected’ for longer periods of time when instruction includes movement” (2). The reality is that many students struggle through a traditional class period because they are not equipped with the cognitive ability to pay attention for long stretches of time. By “traditional class period” I am referring to a class where students sit during the class while the teacher instructs them. With short attention spans, it is essential that students become active participants in the learning process through active learning. 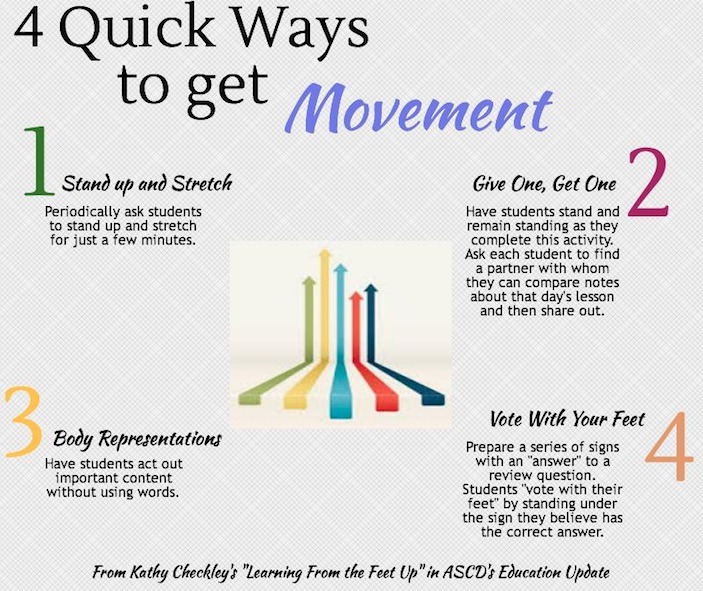 There are many different strategies teachers can employ to get students moving in a classroom. One simple activity is to have students stand and find a partner to turn and talk, with each partner taking a turn summarizing recent learning objectives. An activity such as this not only improves memory but also has the added benefit of improving focus. For Jensen, “Physical movement such as standing, stretching, walking, or marching can increase brain amine levels, which can help improve attentional focus” (51). Jensen even goes so far as to encourage drowsy students to stand at the back of the room for up to two minutes and stretch. The simple act of crossing a right arm or leg to the left side and vice versa (cross-lateral movements) can help activate contralateral blood flow in both hemispheres of the brain (51). Oxygen is essential for brain function, so getting students out of their seats for even a brief moment can enhance blood flow that, in turn, increases the amount of oxygen transported to the brain (62). Another quick way to get students active in a class is to throw a small beach ball around the room and whoever catches it has to ask another student a question. Teachers can even get creative by writing things on the beach ball like vocabulary words or concepts learned in class that students have to answer if their hands are touching the word or concept when they catch the ball. The act of standing and catching will increase oxygen to the brain. “Strong evidence supports the connection between movement and learning,” writes Jensen. “Evidence from imaging sources, anatomical studies, and clinical data shows that moderate exercise enhances cognitive processing” (67). The act of tossing a beach ball to standing students can meet this goal while also enhancing teacher-student interaction by helping to create a vibrant learning environment. For Checkley and Jensen, simple classroom modifications like stretching or changing seats can be followed by more complex lessons like a gallery walk to help turn static lessons into more interactive experiences for students by compelling them to move. “Decades of studies have shown,” Checkley writes, “that moderate exercise can enhance learning–and that any kind of movement is beneficial” (2). The simple fact is that all learners–no matter the age–appreciate the chance to stretch their legs and talk to someone else when they tackle a problem or learn something new. Jensen, Eric. 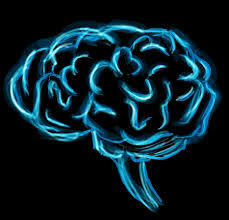 Teaching with the Brain in Mind. 2nd ed. Alexandria, Virginia: Association for Supervision and Curriculum Development, 2005. Checkley, Kathy. “Learning from the Feet Up.” ASCD Education Update 57.8 (2015): 2-3, 6.